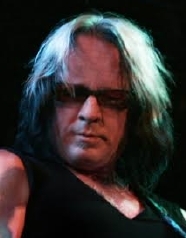 Todd Rundgren has worn many musical hats. He was the principal songwriter and guitarist for the 1960’s Anglophile band The Nazz, the solo pop star who wrote the 1972 hit “Hello, It’s Me” and co-wrote the 1983 anti-work anthem “Bang the Drum All Day”, and the leader of the prog-rock ensemble Utopia. He also produced the mega-hit Meat Loaf album Bat Out of Hell, and albums by many other artists including the New York Dolls, Patti Smith, and Grand Funk Railroad. This year, he was nominated for the Rock and Roll Hall of Fame. This interview was for a preview article for noozhawk.com for Todd’s concert in San Luis Obispo on 11/9/18. It was done by phone on 10/24/18.